SEOUL, South Korea — South Korea’s Navy is reviewing a plan to build a 5,000-ton nuclear-powered submarine in an effort to boost its deterrence against North Korea’s sub-based nuclear attack capability. Last October, the service commissioned from the Korea Defense Network five months worth of research on the feasibility of developing an indigenous nuclear-powered attack submarine. The Seoul-based think tank recently reported the results to the Navy, suggesting the service build a nuclear attack submarine modeled after the French 5,300-ton Barracuda-class sub, multiple Navy sources told Defense News. The nuclear submarine project is, however, not to be discussed openly, the spokesman noted, in an apparent move not to harm the mood of inter-Korean dialogue. “The nuclear-powered submarine-building plan is highly sensitive for itself and especially at a time when the discussions of inter-Korean summit and U.S.-North Korea summit talks are being taken place,” he said. He declined to comment on whether the submarine program could be halted or delayed due to the mood of the dialogue. 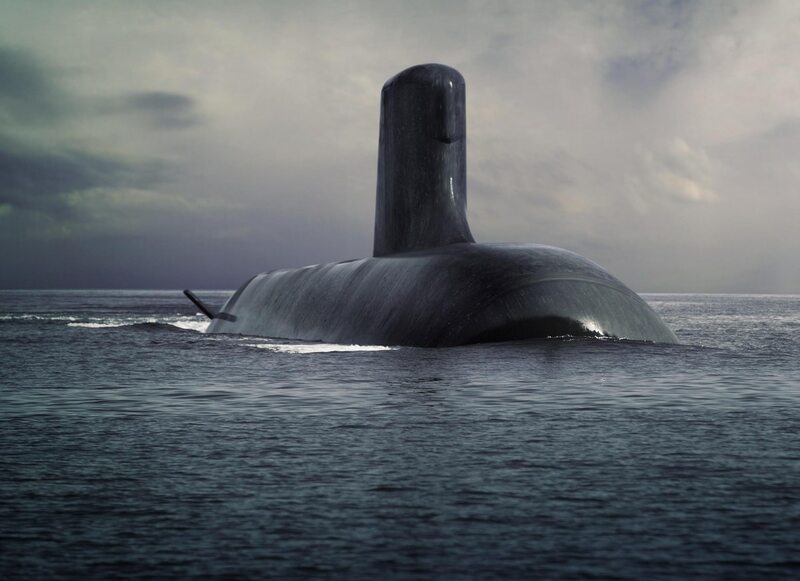 According to another informed Navy source, the KDN report referred to the Barracuda-class submarine as a model because the French sub, designed by DCNS, is powered by low-enriched uranium. “The use of uranium with over 20 percent enrichment for a nuclear-powered submarine could breach a nuclear agreement with the U.S.,” the source said. Former President Barack Obama said Sunday that negotiations with North Korea on its nuclear weapons program are difficult, partly because the country’s isolation minimizes possible leverage, such as trade and travel sanctions against Pyongyang. “In that regard, the French submarine model is realistic and safe to secure nuclear fuel,” the source added. Under a revised U.S.-South Korean nuclear deal signed in 2015, Seoul is not allowed to enrich uranium and reprocess spent fuel for military purposes. The deal allows enriching uranium for civil nuclear energy and low-enriched uranium. South Korea launched a clandestine nuclear sub-building project in 2003. The project, code-named “362 initiative,” was canceled a year later when the plan became public and was brought to the attention of the International Atomic Energy Agency. Moon said the South Korean effort would need foreign technical assistance on weapons integration. “Designing and building a nuclear-powered submarine is no problem for South Korean premier shipbuilders, but for integration of weapons and other equipment into the submarine platform, we may need some help from France or others,” he said. Some experts are skeptical about the costs and development timeline of a locally built submarine. Kim added that if the country wants a capability sooner rather than later, it should consider buying nuclear attack submarines or produce them under a foreign license. South Korea has built nine 1,200-ton KSS-I diesel-electric submarines and nine 1,800-ton KSS-II subs, both with technical assistance from German shipbuilding company Howaldtswerke-Deutsche Werft. The Asian nation is on track to build its own 3,000-ton attack submarine known as KSS-III. At a potentially pivotal moment of diplomacy with North Korea, the Pentagon said Monday that annual U.S.-South Korean military exercises that had been postponed for the Pyeongchang Winter Olympics will begin April 1. North Korea’s submarine force is burgeoning, as it has developed new conventionally powered subs capable of firing ballistic missiles, according to experts. The North is entering the final stage of development for a 3,000-ton submarine that could carry three SLBMs. The SLBM, called Pukkuksong-1, was reportedly successfully test-fired Aug. 26, 2016, and flew about 500 kilometers. In August 2017, the communist state’s news agency released the Pukkuksong-3 SLBM, which appeared to be the latest in its series. According to Seoul’s 2016 Defense White Paper, North Korea operates a fleet of some 70 submarines, including six Sinpo-class attack submarines.